I didn’t come to Krav Maga initially with fitness on my mind. I work third party security and there was an incident. I had my pistol but the ‘bad actor’ in this case was drunk and very disorderly and he was huge. I was out of shape, overweight and completely outclassed. We can save the results of that incident for another time. In the after action briefing a former US Navy SEAL was present and he sent me to Krav Maga to get some hand-to-hand combat skills. 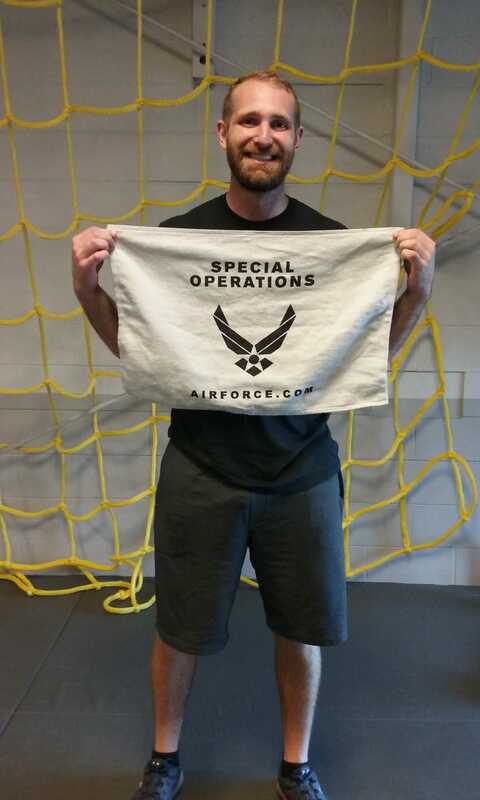 After three years of hard work I was in better shape and had received life saving training in everything from de-escalation techniques to prevailing in a fight. I hit a plateau with weight management. That’s when the nutritional counseling and the SPEC Warrior workout helped me push through this plateau. I dropped an additional 30 pounds and more importantly gained strength and muscle mass. It wasn’t just a fad diet. It was actually a comprehensive program that was improving me on a number of dimensions. I wish I had started the nutrition program and the SPEC workouts sooner! 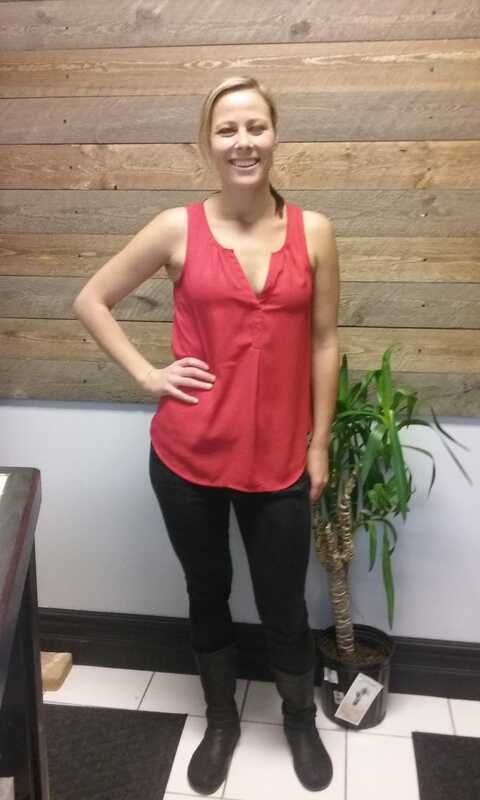 *This client just completed a 10 day course for Instructor Training in Santa Clara, CA and passed! Last January('15) I felt like I was in a big deep rut. I spent many minutes, hrs praying. I sat in the parking lot of the Krav Maga Institute for 1/2 hr psyching myself up to go in. After meeting with Tina, we decided to start this crazy journey! I transformed my diet, exercise with goals (physical not weight loss, although that has been the biggest surprise-weight loss). Confidence that I actually could defend myself! My balance has become, well balanced! I really need to figure out the mental journey. But I'm on my way! Thanks for all the support, God & Rhyne family, and the mental & physical support that I take weekly from Krav Maga Institute! Thanks everyone! Tina you are the best! Thanks for putting up with me week after week! Have to admit I was very nervous about attending due to my age and being so out of shape, but I absolutely loved the class and was amazed at how much I learned from the instructor. I hope to be able to continue the classes as I lose weight and build up my strength. Every single thing the instructor said was important in self awareness and self defense. I have raved to all my relatives across the country about my wonderful experience and with the professional instruction. Thank you for making the experience positive. I honestly do not have a bad thing to say about KMI. 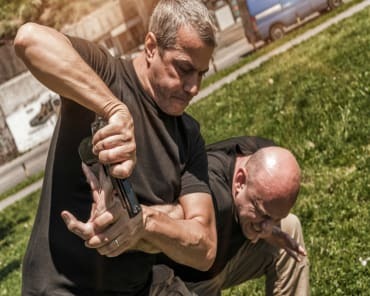 Having just started learning I was happy to see such a focus on real practical self defense. The workouts challenge me and will help to get my stamina and physical fitness up so I can continue to improve. The instructors are extremely knowledgeable, and have the patience and a way of teaching that makes it impossible to not improve your technique. They correct when you need correction and support and encourage you when you succeed. They push you when you think you can't be pushed anymore, but still focus on your own safety. I love this school and look forward to a long learning journey with KMI. 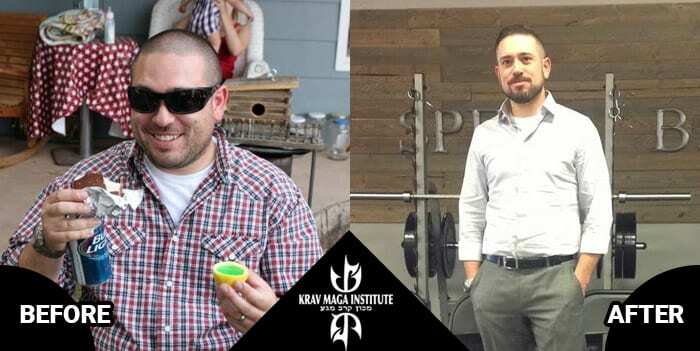 I joined the Krav Maga Institute in August of 2016 and I haven’t looked back since. I had recently gotten out of a long-term relationship and as a single college student with no vehicle; I realized I did not have the skills to protect myself. In addition, my self-esteem was low and I did not have a good sense of self-worth. It was about that time that my roommate suggested I give Krav Maga a try. Having done it for a couple of years, he told me it would provide me with skills to protect myself as well as improve my self-image. He was right. 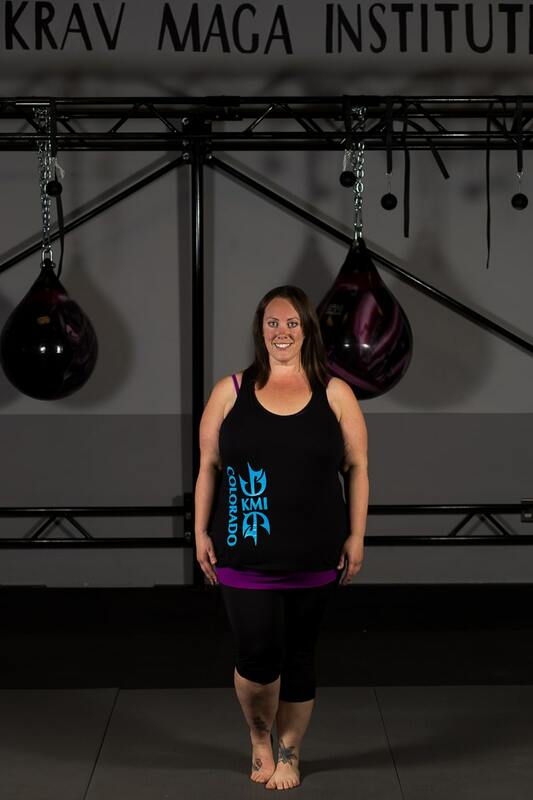 While I initially began Krav to learn self-defense, I have also found that I am in the best shape of my life. Along with Krav, I started attending Tina’s SPEC classes which are both challenging and extremely satisfying. I am stronger than I have ever been and for the first time in my life, feel confident in my abilities to take care of myself. I am more confident and it shows. I have been told by many people that I carry myself differently now and that I act happier and more confident. Now that I am done with school, I am excited that I will be able to dedicate more time to Krav, learning more about how to defend myself as well as keeping myself healthy and happy. 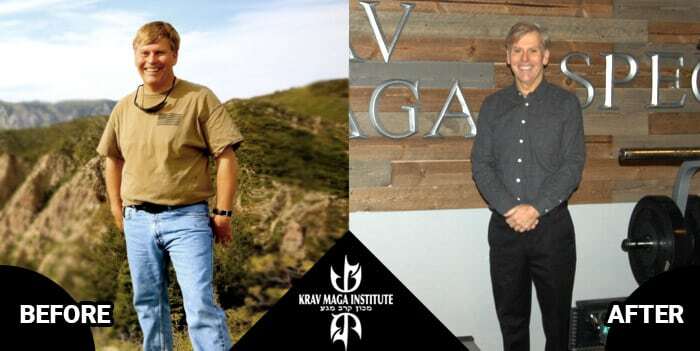 In December 2016 my wife convinced me to try working out with Chet Barnett at the Fort Collins Krav Maga training gym. It was 6 months since a knee surgery at 46 years old. I felt over the hill. I barely made it through the 1st 2 workouts. I made a decision at that time to give it 100%. Chet and Tina modified some exercises for my injuries, helped me understand the physiology of endurance training and eating to fuel my body. After a year of training, I summited Mount Aconcagua at nearly 23000 feet without taking any supplements. The self-defense training enabled me to wander around the city in Argentina at night by myself with confidence. I have a new lease on life. I now consider myself an athlete and plan to continue climbing big mountains in Colorado and hopefully the Himalayas soon. 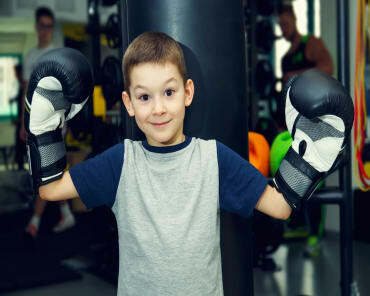 The atmosphere at the gym has been very laid back yet absolutely serious about self-defense and combat. 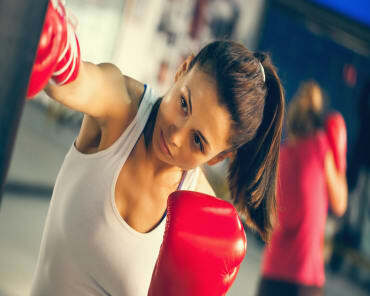 The workouts are very creative and often combined with Krav Maga training. The training is very consistent, and I always leave feeling as if I improved.